Guest: Dr. Haym Benaroya. Topics: Lunar data analysis, Return to the Moon, space policy & more. Please direct all comments and questions regarding Space Show programs/guest(s) to the Space Show blog, http://thespaceshow.wordpress.com. Comments and questions should be relevant to the specific Space Show program. Written Transcripts of Space Show programs are a violation of our copyright and are not permitted without prior written consent, even if for your own use. We do not permit the commercial use of Space Show programs or any part thereof, nor do we permit editing, YouTube clips, or clips placed on other private channels & websites. Space Show programs can be quoted, but the quote must be cited or referenced using the proper citation format. Contact The Space Show for further information. In addition, please remember that your Amazon purchases can help support The Space Show/OGLF. See www.onegiantleapfoundation.org/amazon.htm. 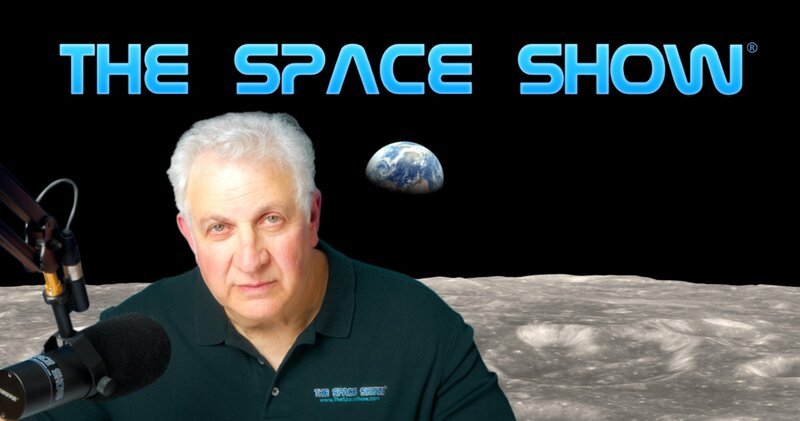 We welcomed Dr. Haym Benaroya, mechanical and aerospace engineer at Rutgers University, back to the show to discuss lunar thermal and seismic analysis, space policy, human spaceflight, Mars, and more. Our intention was to do a one hour program but due to incoming listener phone calls, this program lasted for 1 hour 39 minutes without a break! In addition, the discussion at times with callers was quite heated, very passionate and ripe with disagreement, especially between callers and myself. Frankly, there were times I just had enough of the gloom and doom and the la la land fantasy stuff so I blasted back on what the callers more than the guest were saying. We started the program with an update from Dr. Benaroya on thermal and seismic analysis of lunar data collected from sensors left on the Moon by the Apollo missions. The data has been run through new models for up to date processing. As it turns out, for seismic activity, an igloo like structure which Dr. Benaroya described is probably the best for the habitat. Also, he said only flimsy items such as an antenna would like be risky structures due to lunar seismic activity. I asked him to compare lunar seismic activity to the seismic activity of California and Japan. We have it much worse here on Earth! We talked about radiation issues & Haym suggested about 10 feet of regolith on the top of the hab would probably be OK other than for a solar event. He also said much more data was needed for actual lunar structural engineering. I asked him what the first lunar settlers would do during their day and this took us to HSF to Mars issues, microgravity concerns, and the Moon as a stepping stone to Mars. John Hunt was the first of the callers, focusing on policy with the politicians. Haym talked 3D printing with him, then I asked John if the program he was describing could be done in 10 years. After forcing him to provide us with a yes no answer, he said no. Haym said the same but both agreed technology was not the problem, leadership was the problem. We talked the need for profits for private ventures and opened up public/private partnerships for discussion on the show. I asked both how to start implementing their plans & that was the opening salvo of the fireworks that unfolded for the rest of the show. Doug called next and talked about his ideas for what astronauts on the Moon would do and his lunar development ideas. I then challenged both caller and guest to outline their steps for making their happen. I thought their implementation plans were severely lacking and opened up on each of them but more so on Doug for the balance of his call. Haym said the first step was to rebuild U.S. launch capabilities. Doug had a different first step & talked about government funding as in a private/public partnership similar to what SpaceX has with NASA for Falcon. I asked Dough how he intended to sell the importance & value of the program he suggested to those controlling policy and funding. See what you think of this discussion & post your comments on our blog. After Doug cleared the line, Charles Pooley called in & at one time I said he was the longest playing broken record in Space Show history! I told him he was full of doom and gloom and other people see things differently and I did not want is view of things to be right or prevail, suggesting others see things differently than he does. Again, your comments are welcome. Near the end, I simply was rejecting the "dismal situation" facing our space program. While Haym agreed that things were not good today, he talked about how he inspires and works with his students so they can create a positive space environment during their careers and for our future. Just before the show ended, Tim called at the last minute and I promised to send him a Timex given his rotten sense of timing show after show. With Tim, we talked propulsion, Zubrin's thoughts on going to the Moon, & the two private Mars missions on the drawing board. In his concluding remarks, Haym explained why he was not supportive of either Inspiration Mars or Mars One. Please post your comments/questions on The Space Show blog. Haym can be emailed through me or his Rutgers website.